Cary Leibowitz: Museum Show is the first comprehensive career survey and solo museum exhibition devoted to the New York-based contemporary artist, Cary Leibowitz (b. 1963). Since the early 1990s, when he became widely known as, “Candyass,” a moniker that Hilton Als writes, “becomes yet another means of deflecting criticism,” Leibowitz has carried on with an interdisciplinary practice that turns a critical eye on subjects of identity, modernism, the art market, queer politics, and kitsch. In his comically self-effacing text-based works, for which he is best known, he mixes his obsessions with popular culture and fine art with elements of social commentary, self-loathing, institutional critique, and stand-up comedy. His work manages to seamlessly blend comedy and neurosis in such a way that questions about appearance and identity become a running commentary on the self/other. INVISIBLE-EXPORTS, “(paintings and belt buckles),” press release, September, 2013. Aletti, Vince. “The Schlemiel of Soho,” The Village Voice, October 9, 1990. p. 103. INVISIBLE-EXPORTS. “Nearly 30 Year Old Stuff…” press release, February 2016. Atkins, Robert. “New York,” Contemporanea. November 1990, p. 31. Cary Leibowitz (b. 1963, New York) also known as “Candyass,” is an American artist whose work has shown in museums and institutions across the globe including The ICA Boston; The Walker Arts Center, Minneapolis; the Frankfurter Kunstverein, Frankfurt; The Aldrich Museum of Contemporary Art, Ridgefield, CT; the Guggenheim Museum, New York; The Whitney Museum, New York; The Jewish Museum, New York; MoMA PS1, New York; The Indianapolis Museum of Art, Indianapolis; The Wexner Center for the Arts, Columbus, OH; The Andy Warhol Museum, Pittsburgh, PA; Badischer Kunstverein, Karlsruhe, Germany; White Columns, New York; Philadelphia Museum of Jewish Art, Philadelphia, PA; Art Metropole, Toronto; Kunstverein für die Rheinlande und Westfalen, Düsseldorf; Bonner Kunstverein, Bonn, Germany; Cabinet Gallery, London; The Kitchen NY; Galleri Nicolai Wallner, Copenhagen; Art Institute of Chicago, Chicago; Galerie Claudio Botello, Turin, Italy; List Visual Arts Center, MIT, Cambridge, MA. Leibowitz’s work has been included in the landmark exhibitions Too Jewish? Challenging Traditional Identities at The Jewish Museum in New York; In a Different Light at the University Art Museum, University of California Berkeley; and Bad Girls, New Museum, New York. His work has been reviewed in The New Yorker, Artforum, The New York Times, Frieze Magazine, and Art in America, among others. 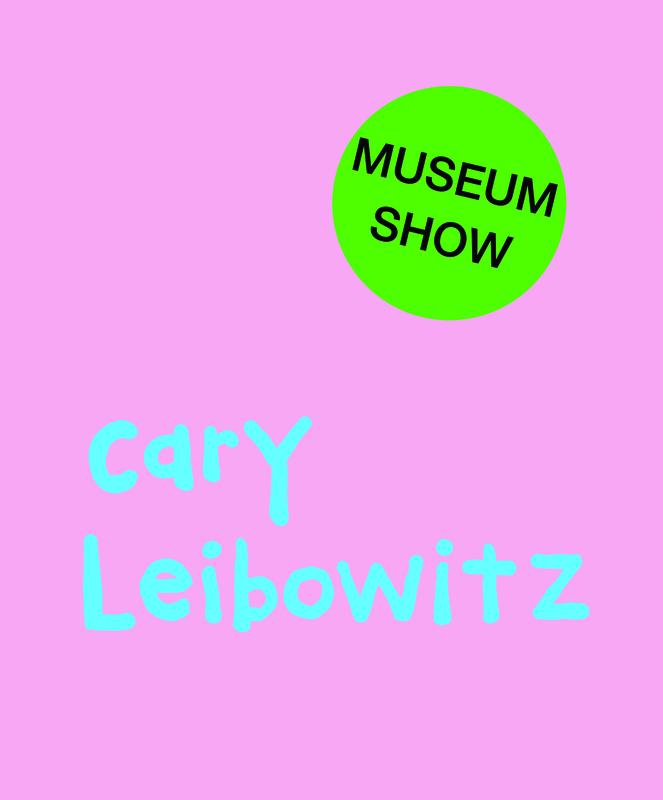 Cary Leibowitz: Museum Show is accompanied by a 224-page fully-illustrated hardcover catalog with contributions by James and Leibowitz, as well as Rhonda Lieberman, Hilton Als, Simon Lince, Fran Drescher, David Bonetti, and Glen Helfand. Cary Leibowitz: Museum Show is organized by The Contemporary Jewish Museum, San Francisco. Lead sponsorship is provided by Gaia Fund. Major sponsorship is provided by Dorothy R. Saxe and Wendy and Richard Yanowitch. Supporting sponsorship is provided by Pacific Heights Plastic Surgery. Additional support is provided by David Agger; Alvin Baum and Robert Holgate; and Michael T. Case and Mark G. Reisbaum. The Contemporary Jewish Museum’s exhibition program is supported by a grant from The Andy Warhol Foundation for the Visual Arts. Header image: Cary Leibowitz, Self Esteem 5 Cents, 1995. Latex paint on wood panel, 11.25 x 105.5 in. Courtesy of the artist and INVISIBLE-EXPORTS. Gallery photos: Gary Sexton Photography.